Posted February 5, 2019 by Dave Stroud & filed under Uncategorized. KOWS Community Radio is a 501c3 non-profit radio station. We rely on our listeners to help support our mission of delivering unique and alternative programming that reflects our community. We don’t beat you over the head with on-air fund drives but we do have to reach out sometimes for an ‘ask’. Our move has stretched us a bit, so now’s a perfect time for you to make a difference! 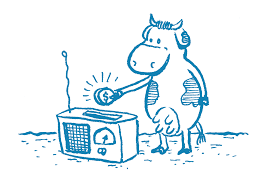 Our funding sources come from our hosts, our underwriters, and YOU, the listener. We’re reaching out to you today to please visit our web site and donate what you can or, maybe just send a check via snail mail. Visit our link and click on the secure “Donate Now” button to contribute a one-time or monthly donation to Community Radio for Sonoma County.